Satchel was an alternative rock band from Seattle. Their final lineup featured Shawn Smith (vocals, piano, guitar, bass), Regan Hagar (drums, bass), and John Hoag (guitar, bass). Satchel was originally formed under the name Bliss by vocalist Shawn Smith and drummer Regan Hagar, after their previous band Brad (which also featured guitarist Stone Gossard) went on hiatus. They recruited guitarist John Hoag, bassist Cory Kane and Jefferson Bennett on saxophone. However they were met with a copyright name challenge. As a result, they settled on the name Satchel, and Bennett left the band. Brad was an American rock band that formed in Seattle, Washington in 1992. 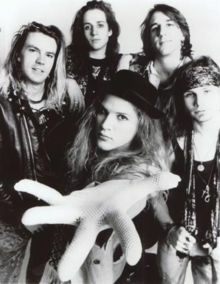 Their sound was influenced by the wide variety of influences brought by its members, including Stone Gossard of Pearl Jam, Regan Hagar, Shawn Smith, and Jeremy Toback. Satchel released their first album EDC in 1994. Some of EDC's song titles were taken from the character's names in the film Reservoir Dogs , one of the band's favorite movies. Satchel went on tour to support the album. In early 1995, the bassist Cory Kane was replaced by Mike Berg because of personality conflicts. They released their second album, The Family, in 1996, which was co-produced by Stone Gossard. Again, the band embarked on a long tour. At the end of the tour, Smith and Hagar were invited by Gossard to reform Brad, an invitation they accepted. As a result, Hoag quit the band and Satchel went on hiatus. In 2005, Brad released Brad vs. Satchel, an album of previously unreleased tracks from both Satchel and Brad. Satchel returned in 2010 with Smith (vocals/piano/bass), Hagar (drums/bass), and Hoag (guitar/bass). Touring bassists include former member Mike Berg, Jeff Fielder, and Lonnie Marshall. 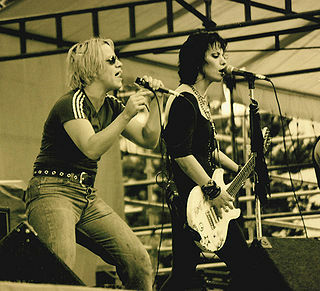 The new line-up recorded an album, Heartache and Honey, which was released in early 2010. A new song, "The Return of...", is available (streaming) on their official website. Shawn Smith's record label Sound vs Silence will release a compilation CD which includes an exclusive non-album track, "Shoulder to Shoulder". On April 5, 2019, vocalist Shawn Smith died from complications from diabetes. He was 53. The song "Suffering" was featured in the films Beautiful Girls and The Girl Next Door . 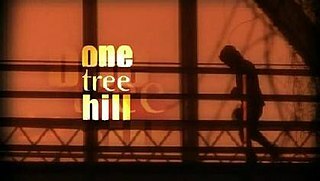 It was also featured in an episode of One Tree Hill . The song "Walk in Freedom" can be heard in the movie Strange Days . The Girl Next Door is a 2004 American romantic comedy film about a high school senior who falls in love for the first time with the girl next door, but finds the situation becoming complicated after he learns that she is a former pornographic actress. It stars Emile Hirsch, Elisha Cuthbert, Timothy Olyphant, James Remar, Chris Marquette and Paul Dano and is directed by Luke Greenfield. Chris Murphy is a member of the Canadian rock band Sloan. Montrose was a California-based hard rock band formed in 1973 and named after guitarist and founder Ronnie Montrose. 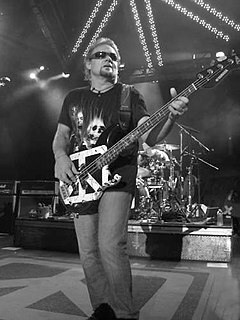 The band's original lineup featured Montrose and vocalist Sammy Hagar, who would later go on to greater fame as a solo artist and as a member of Van Halen. Rounding out the original foursome were bassist Bill Church and drummer Denny Carmassi. The group disbanded in early 1977. Viking Skull are an English hard rock band originally from Corby, Northamptonshire. Formed in 2002, the band currently features vocalist and guitarist Roddy Stone, guitarists Frank Regan and Dom Wallace, bassist Kevin "Waldie" James and drummer Jess Margera. Founded by Stone, Regan and Waldie with guitarist Darren Smith and drummer Gordon Morrison, the group were initially intended as a semi-comedic support band for Raging Speedhorn, which featured some of Viking Skull's members. Weakling was an American black metal band from San Francisco. The band never toured and released only one album, Dead as Dreams, recorded in 1998 and released on Tumult Records in 2000. "Dreams" is a song by Van Halen released in 1986 from the album 5150. It was the second single from that album, and it reached number 22 on the Billboard Hot 100 chart that year. It was released in 7" and 12" single formats, the 7" single featuring the album version and the 12" single featuring a slightly extended version. Nine years after its original release, "Dreams" appeared in Mighty Morphin Power Rangers: The Movie and on its soundtrack album. The Van Halen Tour 2004 was a North American concert tour by hard rock band Van Halen. It was the band's first tour since 1998 and saw the return of lead singer Sammy Hagar who left the band in 1996 on bad terms.